Milk is nature’s most complete food, and dairy products are considered to be the most nutritious foods of all. The traditional view of the role of milk has been greatly expanded in recent years beyond the horizon of nutritional subsistence of infants: it is now recognized to be more than a source of nutrients for the healthy growth of children and nourishment of adult humans. Alongside its major proteins (casein and whey), milk contains biologically active compounds, which have important physiological and biochemical functions and significant impacts upon human metabolism, nutrition and health. Many of these compounds have been proven to have beneficial effects on human nutrition and health. 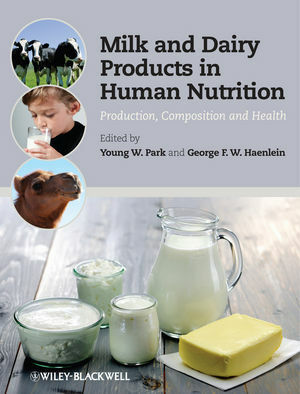 This comprehensive reference is the first to address such a wide range of topics related to milk production and human health, including: mammary secretion, production, sanitation, quality standards and chemistry, as well as nutrition, milk allergies, lactose intolerance, and the bioactive and therapeutic compounds found in milk. In addition to cow’s milk, the book also covers the milk of non-bovine dairy species which is of economic importance around the world. The Editors have assembled a team of internationally renowned experts to contribute to this exhaustive volume which will be essential reading for dairy scientists, nutritionists, food scientists, allergy specialists and health professionals.